Is FB Causes interaction design is a one-night stand .. no flirting, no romance, no love notes, no coffee? I wrote a thinking outloud post wondering "How do Social Networks incorporate the ladder of engagement?" (cross posted on Facebook as a note) Two ideas sparked this question: Priscilla Brice-Weller's thoughts on the Levels of Engagement and a slideshare show by Michael Weiksner, BJ Fogg, and Xing Xin Lui from a class at Stanford called "Creating Engaging Applications on Facebook." The slide show shares the results of a pattern analysis of the 100 most popular Facebook applications (video of lecture here). What's noted: "Adapted patterns are also cross-cutting techniques for increasing engagement and revenue." In the comments, Weiksner clarified that Facebook Causes fits the "self-expression" model of interaction and incorporates competition to enhance engagement. Danielle Brigida said, "Facebook Causes are a pretty picture of something you support." Carie Lewis added, "It's all about the cool factor. It's about taking pride in something and everything being about me! me! me!" Justin Perkins pointed out one flaw with Causes design: it asks a person to make a donation before educating or cultivating them. The potential donors fulfill their need for self-expression by joining, but do not contribute. Where's the opportunity for to cultivate and get to know those joiners and move them up the ladder to donation? Where's the relationship building? Justin suggested, "It's like going straight to bed with someone without having coffee first." Great metaphor! No flirting! It's a one-night stand. Weiksner agreed that Causes does not capitalize on its potential, but integrating relationship building into the design would not work. "I examined the top facebook applications for patterns of persuasion and worked with students who wrote applications installed by 16 million facebook users. Almost all the successful ones worked in the exact reverse way that you’d expect! At a minimum, I am interested to see whether a simple “invite your friends then donate” application would work. It’s just the ‘native’ facebook pattern that I see." Carie Lewis said the don't ask for money mindset is used with email campaigns. "We don't just come right out and ask for money. There's a cultivation, love-note period first. If there's not a big company fronting the money then there's got to be some other kind of incentive. Otherwise, the motivation just isn't there from the average person ("happy bystanders", if you will?)" Danielle Brigida notes, "On Facebook people collect friends, groups, pictures and share them with others. Causes are a pretty picture of something you support. Causes does not help with relationship cultivation. It is a handshake and if you're lucky you might get a kiss." Carie Lewis said, "We message every person that donates or starts a cause on behalf of us personally, telling them thank you and that we're here if they need anything. Many times they write back, and that starts the dialogue. It takes time but I truly believe that it's paid off for us." They both agree that the ladder of engagement steps are not manageable from the Causes Application. Danielle has found that the individual relationship building on Facebook is more rewarding. "I'm just not sure if the Causes Application is the most effective way to inspire beyond joining. While I've managed to engage in conversation with quite a few people it's hard to not get discouraged when you have only a few people step up the ladder." Tompkin Spann added, "The successful efforts on Facebook have been where the application inspires you to communicate with your friends. Nonprofits need to create their own applications and seek creative ways to empower Facebook users to communicate with their friends." You're successfully highlighting a very important aspect of a transition to really mass-market online philanthropy in an age where we're moving into the Attention Economy. There is just so much to DO - so much information, so many activities, all jostling for your attention - that the most successful endeavours on the Internet do NOT seek to build longlasting relationships around a single object. Instead, they offer a high degree of granularity (break what you ask of your audience or donors, be it attention, money, information, etc) down into tiny pieces. But get them hooked the first time and get them to repeat it again and again - this is why people spend more time on YouTube with its 30s - 10min clips, than on the BBC iPlayer, where you can watch whole shows. I suspect truly successful online philanthropy will have to fold into this trend. The importance of microphilanthropy is clearly obvious, therefore: if people aren't going to be building strong relationships and taking the time to get to know your nonprofit, then they probably will never build up the trust to make a big, onetime sacrifice to it. Instead, they will nibble away, taking small bites for as long as your cheese remains attractive. 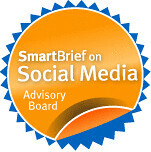 I suspect that alongside figuring out how to get even bigger crowds involved in microphilanthropy, there's going to be quite a lot of clever heads being scratched about how to ramp up people's engagement beyond the most basic, fleeting one-night stands you describe - but big relationships will never really flourish online and I feel successful nonprofits will reflect this in their online marketing strategy - and budgets. Thanks for your thoughts. What do you think is necessary to ramp up engagement, although in small steps online? I've found that commenting on other groups has been most rewarding. That may be because the cause I administer (ANTaR) is not based in America or Canada so it's not eligible to accept donations through Causes. For us, creating a Group is more useful than Causes because you can also use it to invite friends to events. Nice summary. From the other comments, it seems that causes as a self-expression application is spot on. As for my proposed native application, who knows if it would work or not. For certain causes (perhaps political candidates? save the whales? ), it think it might. But I want to clarify: you idea of coffee and love notes is not just the way nonprofit currently works, it just wouldn't be like any currently popular application on facebook. But that's a positive not a normative statement. There are good reasons to think that coffee and love *should* be part of fund raising. Thanks for sparking and summarizing this conversation! Thanks for writing about Facebook applications and beginning a dialogue on the topic. Children's Hope International has not yet set up a Cause application, as a cut of donations goes towards the infrastructure itself. AKA, less of the donation actually helps a child in need. As an org committed to green communication and cutting admin costs, we are all for facebook as a means of spreading awareness - but we're not quite on board with the Cause application due to the cut. On another note, I'm certainly interested in creating an application outside of Causes that would bring daily international child statistics to a user's facebook, etc, but personally do not have the means of setting something like that up... Still looking into it and brainstorming. "It's like going straight to bed with someone without having coffee first." Good encapsulation of Causes and it's utilitarian value as a fundraising mechanism. I made a similar observation about Causes being more about self-expression than anything else. in a recent blog post. Motivating even those who say they support a Cause to actually give money has not proven to be an easy task for most organizations. My experience with the Causes Giving challenge is bearing this out. Those non-profits that have a support infrastructure outside of Facebook are the ones that are being the most successful. Communication problems with the benefactor I'm supporting have made it difficult to have success. There's been some movement within the walled garden of Facebook, but not enough to really move the needle. I also think pages are a good option in Facebook for non-profits to have a presence. It's a good gathering place for all the various groups and Causes that are started by supporters.